Work Design Magazine is proud to support WORKTECH 15 New York. The conference will take place on Wednesday, May 13 and Thursday, May 14 at the Time and Life Building; speakers and guests will explore the latest thinking on the future of work and the workplace. Read more and register for the event here, scroll down to get to know the all-star lineup of speakers, and stay tuned for more coverage after the conference! Adam is director of community at WeWork, one of New York’s fastest growing tenants and premier workspace developer. Responsible for hiring and training employees, Adam guides a growing international team of workplace Community Managers. Adam is a leader in thinking about workplace as a service and drives Wework’s industry leadership in facilities and workplace management. With a masters degree from Columbia University in social-organizational psychology, Adam’s approach to community management is founded in start-up culture and a commitment to people and crowds. 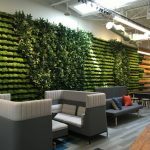 Ann is the head of workplace effectiveness at Genentech, the organization responsible for work environment design and delivery for Genentech’s South San Francisco site. Prior to joining Genentech she was a Principal of Co3 Group, Ltd., an organization focused on creating infrastructures that support the increasingly global, dispersed, and mobile workforce by enabling client’s employees to work anywhere, anytime, on any device. She was instrumental in the concept, design, and implementation of Sun’s innovative flexible office over 15 years ago, an early component of what has evolved to the Open Work program. She became Sun’s VP Open Work Services, and not only managed Sun’s internal program, but also developed a Consulting Practice for Sun’s customers. The Open Work Practice provided services to financial accounts, energy companies and other Silicon Valley companies. Prior to Sun, Ann held positions as corporate services manager (Silicon Graphics, HP); business manager, Network Products (HP); marketing program manager (HP); construction projects manager (HP); management consultant (Boston Consulting Group, Munich FRG) and independent engineering consultant. John is the CEO of Serendipity Labs Inc., a franchised corporate coworking brand. He has over 20 years of experience building workspace and hospitality brands and working in commercial real estate, investment, and finance. As a serial entrepreneur, he has successfully built three companies that serve on‐demand workspace needs for corporate real estate occupiers and mobile workers. John was previously the president and GM of Regus of the Americas. He is one of the most sought-after commentators on corporate coworking in the United States. Most recently, he was named one of the 25 Most Influential Executives in Business Travel alongside the CEO of American Airlines, the CEO of Cisco, the CEO of Delta Airlines, and Sir Richard Branson. He developed the first global reservation system for booking workspace on demand. Arenas has been featured on GlobeSt.com, 914INC., DeskMag, and countless other outlets. Erin Barnes is co-founder and executive director of IOBY (In Our Backyard), a crowd-resourcing platform that supports citizen-led, neighbor-funded projects in urban centers to effect positive change. Ioby’s engagement model, crowd resourcing, combines crowd funding and resource organizing to enable the public to organize many forms of capital from within the community to serve the community. Erin’s leadership at IOBY explores the power of crowds and the digital world, with a vision for change other industries can learn from. With a background in environmental studies and resource management, Erin is expanding the impact of IOBY’s mission to connect change with resources, enabling communities around the country to invest in change and enjoy the return on investment. Steven is a strategic portfolio planning and workplace leader, specializing in the planning, designing, and enabling of workplace projects. His areas of expertise include project feasibility and development, business case approval, project planning and control, program monitoring for workplace environments. He has 15 years of successful project delivery experience with a focus on strategic workplace planning. Steven’s track record includes the provision of strategic and tactical advice to private sector clients on projects in locations throughout the Americas, United Kingdom, Europe, Africa, and Asia. Jonathan is the executive director of the Center for an Urban Future, a Manhattan-based think tank dedicated to independent research about key issues facing New York and other cities. He has authored more than two dozen policy reports, including studies about New York’s tech sector, the importance of immigrant entrepreneurs, and the challenges facing the middle class. Mike is in charge of all aspects of workplace facilities in the Americas (NORAM/LATAM) region including corporate real estate, lease management, integrated facilities management, and construction/change projects that maximize productivity and customer satisfaction. He develops and executes Zurich’s long term real estate and workplace strategies together with business leadership that support business objectives drive enhanced standards of space efficiency and utilization. Martha manages the Experience Design program in Microsoft’s Real Estate group, a program focused on creating the best work environment possible through stellar functionality and design. She is an interior architect who worked on the design side for 14 years and has been at Microsoft for 18. Suzanne is an interior design principal at NBBJ, named one of the most innovative architecture firms in the world by Fast Company. Her experience with complex interior design projects has yielded extensive knowledge of how to fulfill the requirements of her clients, which include Macy’s, Standard Bank, Bloomingdales, The Advisory Board Company, and Bloomberg. She is the recipient of the New York Women of Valor Award and the Public Design Commission of New York Awards for Excellence in Design. Her work has been featured in the Washington Post, the Huffington Post, and the NY Real Estate Journal. Brent runs the research arm of New Work Environments at Genentech. This is the organization responsible for innovations in the work environment at Genentech’s South San Francisco site. Prior to joining Genentech, he spent 10 years as a process improvement expert at Blue Shield of California, PayPal, Blue Coat Systems, and Sun Microsystems. During this time he focused on how to bring to data to light, often drawing data from systems or establishing new ways to measure business processes and business performance indicators. Brent’s role as a process improvement expert brings together his deep analytical appreciation, thirst for knowledge, and his strong desire to notice and improve the way things work. Working across a full range of project types and scales, James has consolidated a position of accomplishment in the architectural profession through design innovation, built works, awards, professional leadership, and publications. Starting at the end of the 1980s with his own practice, Grose Bradley Architecture, before becoming a principal of BVN Donovan Hill through a merger in 1998, James was appointed national director in 2006. James has led the BVN Donovan Hill project team in a number of benchmark projects, from the seminal Campus MLC and NAB at Docklands, through to the award-winning Brain and Mind Research Institute at The University of Sydney, and more recently, The Kinghorn Cancer Centre and ASB North Wharf. Phil develops and promotes global space and furniture standards, including the Smart Working program, which focuses on how best to use policies, space, and advances in mobile technologies to address changing workplace preferences and reduce occupancy expenses. Smart Working environments allow employees to transition seamlessly between shared, flexible working zones to meet their needs throughout the day. Phil has worked at Credit Suisse for over 12 years. He has a B.S. in computer science from Washington University in St. Louis. Brad activates spaces that grow the collaborative capacity of individuals, businesses, and cities. He is an entrepreneur, innovator, and speaker. As CEO of Third Spaces Group, Brad is committed to catalyzing a national network of smart work hubs that changes the way Australia works. Since 2011, he has founded Hub Australia, CoActiv8, and Platform 3 to help realize this goal. Hub Australia, Australia’s largest coworking community, works with small and large organizations across Australia to drive innovation through collaboration across sectors, disciplines, and generations. As pioneers of coworking in Australia, Hub Melbourne, Hub Sydney, and Adelaide are all visited by hundreds of people every week for working, learning, and creating. CoActiv8 works with corporate and government clients across Australia to set up, manage, and operate collaborative and flexible workspaces. Platform 3 provides shared marketing and technology services for work hubs and has developed an integrated member and operating platform called MESH. With over 45 years of experience conducting workplace research, teaching, design strategy, and designing and developing workplace strategies, Arnold is a seasoned workplace practitioner. He has worked in a range of industries from corporate, technology, media, to science and healthcare, and has held leadership positions at international firms such as IA, Gensler, and NBBJ. Arnold brings diverse experience from working and consulting in the U.S., Asia, and Europe where he has utilized this background to connect design solutions to business models and position design strategy to enhance organizational performance. Architect, Robert Luchetti Associates, Inc.
Robert is an American architect, industrial designer, and educator. He has been working on the planning and design of work and learning environments since the late-1970s. Along with his practice, he has held faculty positions teaching architecture and design at Harvard University and the Rhode Island School of Design. He holds degrees from the University of California at Berkeley College of Environmental Design and the Harvard University Graduate School of Design. In 1983, in collaboration with psychologist Professor Philip Stone and while teaching at Harvard, they won an the International Competition to Design a New Office Furniture sponsored by the French Ministry of Culture with their entry, “New Office Furniture, A Behavior Settings Approach”. In 1985, they published “Your Office is Where You Are” in the Harvard Business Review. In this seminal article, based on their competition entry, they presented their creation of and predicted the concept of the “office as activity settings”. Over a span of many years, this approach has been widely adopted as a basis for the planning and design of office work environments. In 1987, he established Robert Luchetti Associates in Cambridge, Mass. His work is based in visual design in a multi-disciplinary practice including architecture, interior, and industrial design, and work and learning environment consulting. James is the head of the EMEA Global Corporate Services team. With over 20 years of professional experience, he works closely with the senior management of companies wishing to align their real estate strategy with their business objectives, ultimately to improve performance and create shareholder value. James is responsible for the delivery and management of real estate services for global clientele ranging from strategic advisory, transactional through to project management, working closely with local DTZ partners and resources. In addition, he is responsible for designing, implementing, and managing client reporting processes, and the assurance of consistent delivery and reliability of DTZ services. He is a member of the Royal Institution of Chartered Surveyors (MRICS), the Institute of Directors (IoD), and is actively engaged in CoreNet Global. Melissa is an expert in workplace strategy and a leader in change management services. She has defined a career in workplace innovation by embedding the added value of real estate strategy within design, architecture, and master planning projects around the world. Melissa began her career following the completion of her masters of architecture thesis, entitled “Design for Achieving Strategic Business Objectives”. Working in both Europe and the U.S., Melissa has been on the forefront of delivering alternative workplace solutions and has lead virtual teams throughout her career. She has contributed to courses for CoreNet and WORKTECH, spearheaded international learning and technology initiatives, and lectured at U.Va., Cornell, and MIT‘s Sloan School of Management. Nic helps designers realize their ideas for improving the relationships among people, places, and technology. To this end, he and his team work to create a more seamless, naturally human experience of technology. Nic is a mechanical engineer with experience in sales, marketing, engineering, manufacturing, and product development, and began his career with Motorola, Inc., where he developed innovative technology products. He went on to become the VP of marketing and business development at Havis, Inc., where he and his team refined mobile computing technology in police and utility vehicles. Herman Miller is a global company that develops inspiring designs that help people do great things. Its human-centered, problem-solving approach to design has led the company to be recognized as an innovator in furnishings, related technologies, personal work accessories, and strategic services. Peter develops innovative business strategies and workplace transformation solutions for the firm’s Global 100 clients within JLL’s $4 billion global real estate and investment business. He is considered by many to be an industry expert in the field of emerging technologiess and workplace innovation. In addition, Peter has been recognized as a global thought leader by Accenture, Brookings Institute, CERES, The Conference Board, CoreNet Global, The Rockefeller Foundation, The Urban Age Institute, The Urban Land Institute, and The Woodrow Wilson Center, as well as serving on the boards for the Regional Plan Association (RPA) and the CERES Presidents Council, and serving as chair and trustee for The Garrison Institute – all leading organizations focused upon systemic transformation and social change. A former partner with the PricewaterhouseCoopers (PwC) Global Advisory practice, Peter earned his executive credentials from the MIT Sloan Business School and his Civil Engineering Degrees from the University of Arizona. Ian is one of the co-founders of Serraview and a leading expert in workplace management solutions. He has 10 years of experience developing SaaS solutions, and has spent the last eight building Serraview. Ian is passionate about building intuitive workplace management solutions that bring people together and allow them to collaborate more efficiently, which has enabled many of Australia’s biggest workplaces to optimize the value of their property portfolios. Professionally, Kate is passionate about two things: workplace transformation and creating community. For 25 years, she has has been helping organizations create innovative workplaces and adopt new ways of working. Her global expertise includes change management, workplace strategy, research, sustainable design, and leadership. At e-Work.com, her goal is to make workplace change easy and effective by creating “edutaining” e-learning courses designed to help employees embrace new ways of working and organizations transform. To fuel her passion for community and workplace knowledge, Kate helped launch New Ways of Working, CoreNet’s Workplace Community of Practice and most recently, IFMA’s Workplace Evolutionaries (WE). Kate is an inspiring international speaker and co-authored the award winning book, Work on the Move. Previously, she led the Strategic Business Group at Herman Miller and was the Global Director of Ideation at Haworth. Bill joined The Advisory Board Company in 2014, where he is helping to lead the company’s efforts to evaluate and implement a long-term real estate solution for its Washington, D.C. offices. Prior to joining The Advisory Board, Bill held a number of other positions, including executive director of the new headquarters project at NPR; senior VP, legal, at the Washington, D.C. office of Boston Properties; and president and COO at The Mark Winkler Company. Bill also provides real estate consulting services, and his clients have included the Washington Post and Graham Holdings. Bill has a J.D. from the Northwestern University School of Law, and an A.B. from Stanford University. Primo is the award-winning co-founder, with Verda Alexander, of Studio O+A, the San Francisco design firm responsible for groundbreaking workplace designs at Facebook, AOL, Microsoft, Yelp, Evernote, Cisco, Open Table and many other companies. Orpilla and Alexander established their firm in 1991 with an eye to bringing the agility, creativity, and speed of execution then prevalent in the Bay Area’s entrepreneurial economy to the offices in which that economy was being hatched. As Studio O+A evolved, its concepts of what makes for an effective workplace grew more nuanced, and today Orpilla and Alexander are recognized thought leaders in the field of workplace design. Studio O+A’s designs have received awards from the IIDA, FX Magazine, Interior Design, Contract, and the Chicago Athenaeum Good Design Program. In 2011, Contract named Primo and Verda Designers of the Year. A strong advocate for design education, Orpilla has taught workplace design at San Jose State University and, with Verda, has mentored students at CEDIM in Monterrey, Mexico, and SCAD. This year he lectured at the IE School of Architecture and Design in Madrid. Katherine studied education with a concentration in counseling and consulting psychology at Harvard University, earning her master’s degree and pursuing her doctoral studies. Her undergraduate degree in economics is from Kalamazoo College in Michigan. She currently belongs to a consortium of heads of independent schools across the country working to develop the most effective practices and environments for students with specific learning disabilities and ADHD. Her interest and expertise is in learning from neuroscience to develop effective educational practices for students with learning disabilities and ADHD, and fostering an arts-infused educational model as access to learning and identifying significant student talents. She has spoken at educational and mental health conferences on topics including neuropsychology, learning strategies, executive functioning, and preparing students with learning disabilities for college. Dr. Scherbaum is an associate professor of psychology at Baruch College, City University of New York. His research focuses on organizational assessment, staffing and employee assessment, attitudes toward stigmatized employees, and analytics. Publications of his research have appeared in journals such as Personnel Psychology, Organizational Research Methods, Educational and Psychological Measurement, Journal of Business and Psychology, and Leadership Quarterly. He speaks regularly on issues of organizational assessment, employee selection, analytics, and human capital across the globe, and he has taught courses on these topics in the U.S., Hong Kong, Singapore, and Taiwan. He is the founder of Cielo Management Consulting, LLC and has consulted with numerous global and Fortune 1000 firms on issues of employee selection, talent management, employee research, and analytics. Dr. Scherbaum is a member of the Society of Industrial and Organizational Psychology, the American Psychological Association, and the Academy of Management. He is the past president of the Metropolitan New York Association for Applied Psychology. Dr. Scherbaum is on the editorial boards of the Journal of Applied Psychology and the Journal of Business and Psychology. He received his Ph.D. in industrial and organizational psychology from Ohio University. Sharon has combined experience in business strategy and technical research. Prior to joining the Institute in 2014, Sharon spent 11 years at BAE Systems identifying and pursuing new business opportunities in leading edge technology. Her expertise is establishing long term customer relationships to grow and develop new business. Sharon is skilled in orchestrating research aligned to customer needs in order to promote the funding of new business. She began her career at Bell Laboratories managing and coordinating material characterization as well as developing new and innovative tools to control processing and provide profitable laser packages for the optical communications business. Sharon moved on to become the strategic marketing manager at Lucent/Agere with a variety of responsibilities, ranging from leading the technical evaluation of merger and acquisition candidates to defining product planning for the optical networking group and components. Heidi is the founding COO of Civic Hall, NYC’s first civic tech community center event space where civic innovators connect, collaborate, network, learn, and organize. As Civic Hall’s COO, Heidi is at the epicenter of the civic innovation movement made up of people and organizations using technology, data, and networks to improve communities and civic life. With a background in politics, city government innovation, and technology, Heidi brings 25 years of experience in foundational systems change to one of NYC’s most unique new spaces. After completing an MSc in ergonomics and workplace design in the mid-90s and studying the effects of alternative seating in schools, Jim worked as an ergonomist at Back In Action, a specialist equipment provider for all age groups to aid better posture, based at the British School of Osteopathy in London. As head of ergonomics at Orangebox, Jim collaborates with both internal and external designers, carries out research to support organizational wellbeing and assists with European harmonization on dimensional standards for office chairs and school furniture. He is also co-founder and chair of a special interest group on children’s ergonomics with the IEHF Institute of Ergonomics and Human Factors (OIHF) and is a professional member and occasional researcher for the charity Back Care. As Vice President Workplace, Tracy leads investigative workplace research focused on product applications. His research focuses on the study of the workplace, understanding trends in the emerging workforce, and the ability to translate those needs into specific applications. The approach specializes in discovering links between real estate strategies, theory, and practice. He emphasizes understanding customers’ workplace goals and meeting them through tangible products, services and information. He is also a member of the Knoll product development team.